Make The Walk of Life Worthwhile! You might not be able to walk across North America, but you can certainly honor those who are by donating to one of the worthy causes listed below. These organizations were connected in some way to the individuals named on the home page who are being honored with this walk. Donate in the name of The Walk of Life. The mission of FCYD is to is to provide a safe, educational and medically supervised camping experience for children and youth with diabetes. You can donate to this worthy cause or learn more about it by clicking on the logo to the left. While there are many good organizations that raise money for cancer research, my nephew Ross's preference was to give to children in need and this was his organization of choice. Donate by clicking on the logo to the left. To honor Ross's life, his widow, Janie Werner, set up a Kiva Lending Team. Kiva is a non-profit organization with a mission to connect people through lending to alleviate poverty. To learn more about Kiva or to join the team to honor Ross Richard Werner, click on the logo to the left! Habitat for Humanity is a nonprofit, nondenominational Christian housing ministry and welcomes all people - regardless of race, religion, ethnicity, or any other difference - to build or repair simple, decent affordable houses with those who lack adequate shelter. Cecil Bund, was always helping those in need. He was handyman and a builder and put his skills to use with the West Kootenay, British Columbia branch of Habitat for Humanity. Donate by clicking on the logo to the left. Heart's Haven Ranch is the premiere provider of Equine-Assisted Learning in Western Canada, through the delivery of innovative, interactive training programs to our clients and community. We see each of our students as a unique individual, with unique needs and treat them as such. Heart's Haven Ranch is owned and operated by my sister, Roxy and her husband, Stuart. They strive to make a difference in as many lives as possible. To learn more about Heart's Haven Ranch or to donate click on the logo to the left. My great-grandfather, William A. Taylor served with Canada in World War I. My grandfather, William R.C. Taylor served in World War II with Canada. Many others have given their lives for my freedoms - my freedom to walk a route that crosses these two great countries, Canada and the United States of America! 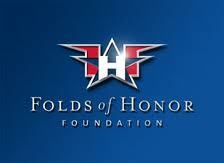 The Folds of Honor Foundation is rallying a nation to ensure that no family is left behind in the fight to preserve American freedom. Through scholarships and other assistance, we give back to the spouses and children of soldiers killed or disabled in service to the United States of America. Click on the logo to learn more about them or make a donation. 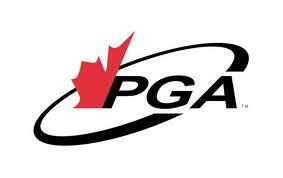 Patriot Golf Day Canada (Labour Day Weekend) is conducted by the PGA of Canada in conjunction with Golf Canada and the True Patriot Love Foundation. Money raised from Patriot Golf Day will go to the True Patriot Love Foundation, which supports and honours members of the Canadian military and their families. The foundation was founded by a group of citizens dedicated to building bridges between Canadian civilians and their military, in order to better understand and appreciate the sacrifices of soldiers and their families. More information can be found for this event by clicking on the link to the left.